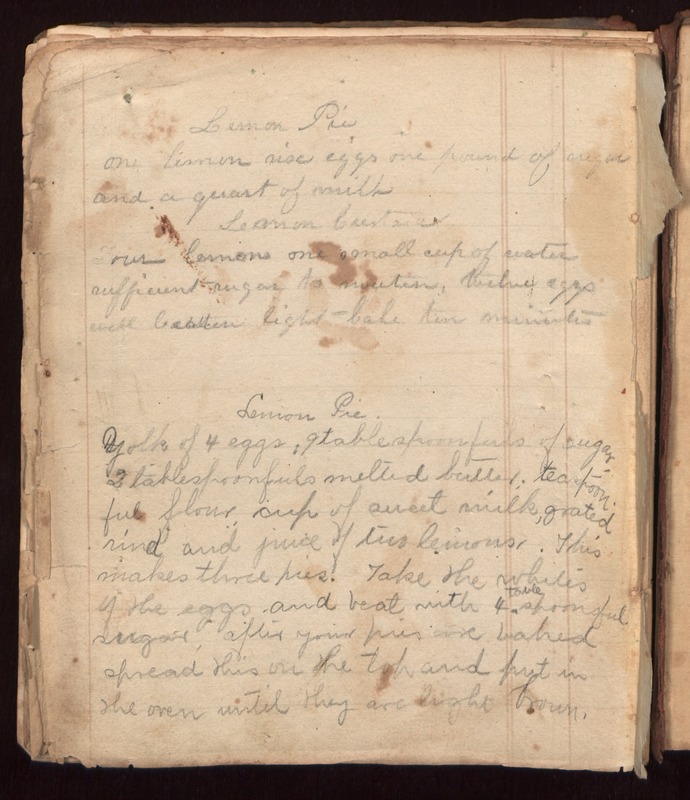 Lemon Pie one lemon nine eggs one pound of sugar and a quart of milk Lemon Custard Four lemons one small cup of water sufficient sugar to sweeten twelve eggs well beaten light - bake ten minutes Lemon Pie Yolk of 4 eggs: 9 tablespoonfuls of sugar 2 tablespoonfuls melted butter; teaspoonful flour; cup of sweet milk, grated rind and juice of two lemons. This makes three pies! Take the whites of the eggs and beat with 4 tablespoonsful sugar; after your pies are baked spread this on the top and put in the oven until they are light brown.